Author(s) Okamoto, Shigeko; Shibamoto-Smith, Janet S.
Why are different varieties of the Japanese language used differently in social interaction, and how are they perceived? How do honorifics operate to express diverse affective stances, such as politeness? Why have issues of gendered speech been so central in public discourse, and how are they reflected and refracted in language use as social practice? 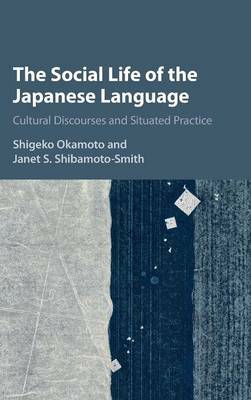 This book examines Japanese sociolinguistic phenomena from a fascinating new perspective, focusing on the historical construction of language norms and its relationship to actual language use in contemporary Japan. This socio-historically sensitive account stresses the different choices which have shaped Japanese and Western sociolinguistics and how varieties of Japanese, honorifics and politeness, and gendered language have emerged in response to the socio-political landscape in which a modernizing Japan found itself.